Andre LaFosse (pronounced “ON-draye laugh-OSS”) is a guitarist, producer, and chronic deconstructionist tortured (solo) artist. His eclectic, obsessive experiments with gene-splicing his own musical DNA have won him acclaim, controversy, and more than a few puzzled looks from his listeners. His first CD, Disruption Theory (1999), juxtaposed live electric guitar against intricate electronic programming, and was greeted with both serious critical praise and serious commercial obscurity. In spite of being an instrumental guitar-driven record, the album was profiled in music publications as diverse as Alternative Press, MOJO, Outburn, Expose, and 20th Century Guitar. His follow-up, Normalized (2003), documented an utterly iconoclastic approach to live sampling/looping that utterly rejected the ambient, effects-heavy progressive guitar paradigm, drawing inspiration instead from turntablism, glitchcore, hip-hop, and dance music. 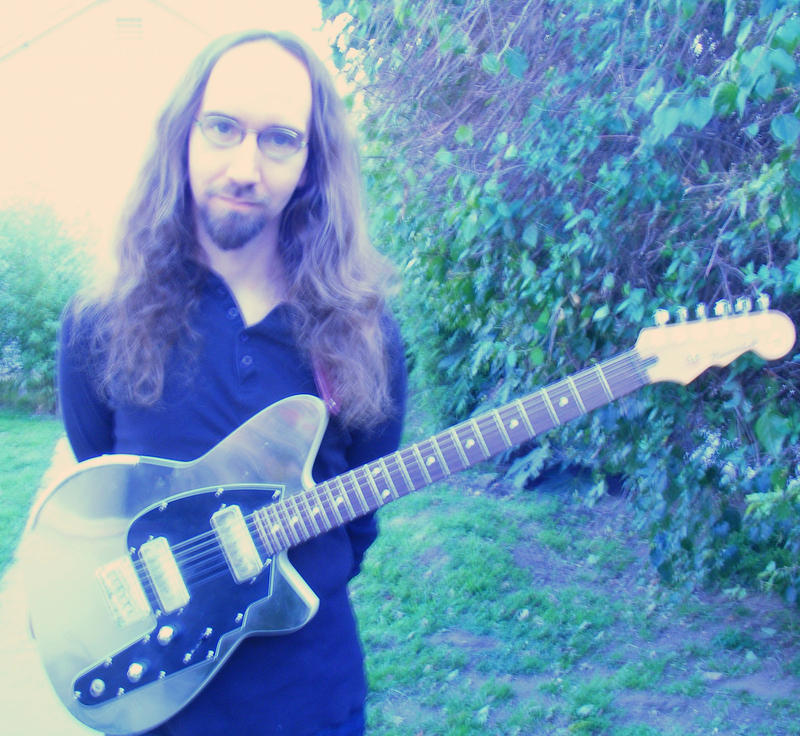 As documented on Normalized, Andre’s looping style, based around one guitar, one looper, and one tube guitar amp, led to performances at the New York Guitar Festival, a featured episode of WNYC’s New Sounds, and guest spots on the scores to several Hollywood films. In 2012, Andre returned to the studio with two separate solo albums, as different from one another as they are from anything he’s previously released. The Hard Bargain is his self-described “mid-life crisis rock album.” Built exclusively from a foundation of guitar, bass, and drums, and featuring tightly composed, elaborately arranged material, it’s the completely unfashionable instrumental guitar recording he spent most of the last fifteen years avoiding making. The sister album, Do The Math (aka “the mad scientist modular synth hauntology krautrock album”), places his guitar playing atop a foundation of massive, buzzing, unstable electronics and hypnotic grooves.